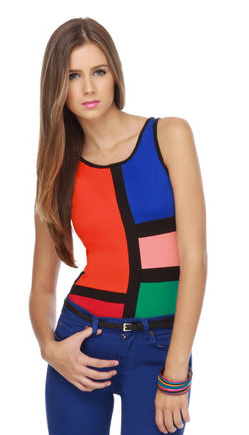 If you're into the colorblocking and mod trends, this bodysuit would be a fun addition to you wardrobe! Buy at Lulu*s for $46. I have such a love for organic looking jewelry, like it's been lost in an undersea chest for years or growing straight out of an ancient oak! 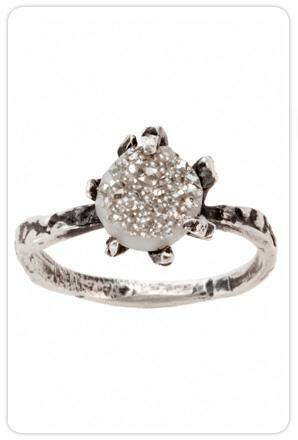 Buy this Lauren Wolfe piece (new jewelry designer to pay attention to!) at Goldyn for $110. These faux leather shorts are a perfect fall purchase - don't you die over the color??? They look super expensive, but you can buy at Pixie Market for just $86! 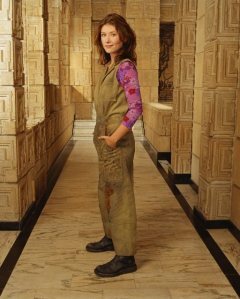 I've been fashion inspired by my nerdy TV habits lately! 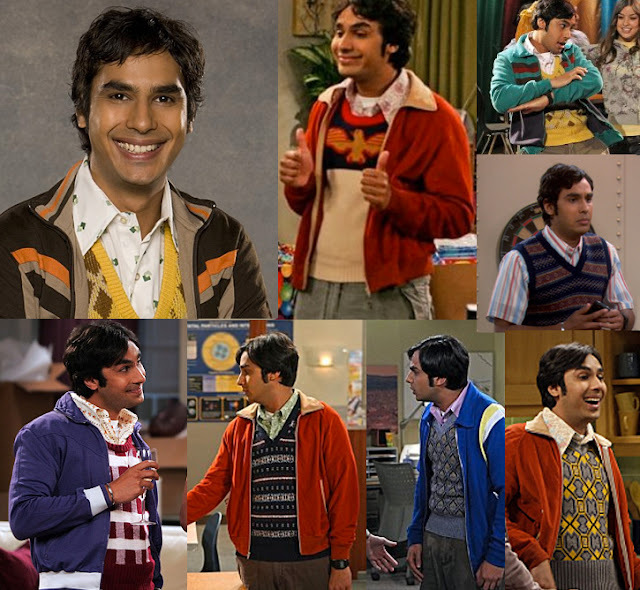 Right now it's Raj Koothrappali from "The Big Bang Theory." You're probably scratching your head and going "WTF sweater vests" right now, but look closely at his outfits - this guy is a master at mixing prints! It's all about bold choices and not being afraid to clash a bit. Just find a color in each print that ties the look together! I've put together three looks in homage - let you inner geek shine through! 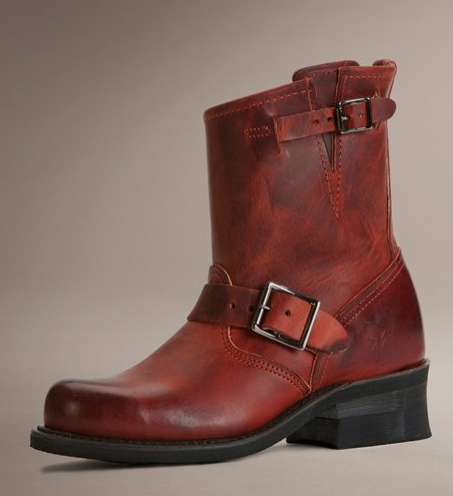 I have a sudden, inexplicable urge to own a pair of red engineer boots just like these by Frye!! If only they didn't cost $208... sigh! 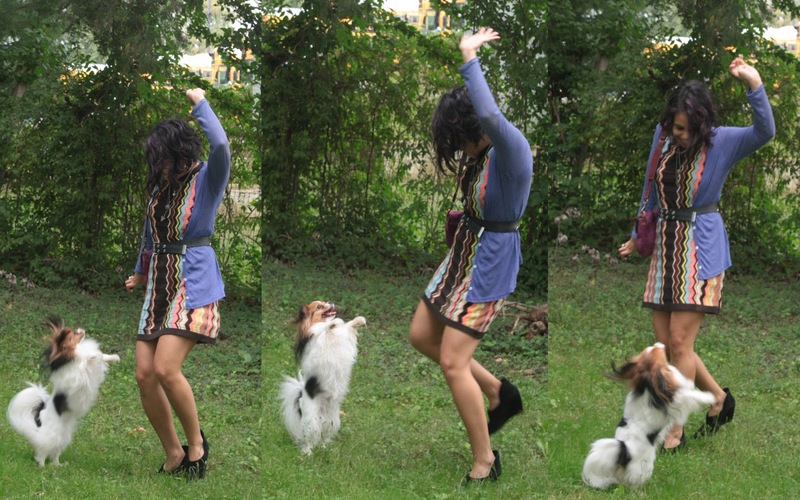 I have Missoni for Target clothes and you don't, nah nah nah! This dress is magically amazing and fills me with joy at all times! OK, really having this dress barely impacts my life, so for the love do not spend hundreds on one on eBay!! Though it looks like not many people are bidding on overpriced pieces - thank goodness! People trying to resell stuff on eBay annoy me, they create an artificial demand by buying up half the stock instead of letting poor girls like me get a few cute items that they actually want! I'm wearing: Missoni for Target knit dress, cardigan from Yes Style, Marc Jacobs belt, Belle Sigerson Morrison wedges, Coach purse that my sister gave me, armor ring from ASOS, top two necklaces from my mom, arrowhead necklace from Urban Outfitters. Kyoko and I like to dance and dance and dance and dance when I get home from work! These are my favorite shoes ever - they give me height and look like booties but the way they're cut really elongate my legs! Over the summer I started to really get into woodgrain print as something new and unusual! Well, here's the first piece of clothing I've found with it, a chic Francis dress for $260. 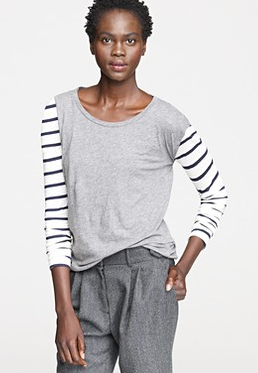 I finally found somthing pretty close at La Garconne, a Rag & Bone jumpsiut on sale for $138 - so tempting!! If it's still there next month I'm totally buying it! I just read this on Wardrobe Oxygen and really enjoyed getting to know her a bit better, so decided to do one as well! B. Bed size: Our mattress is a full, but we thought it was a queen so our frame is queen - opps! C. Chore that you hate: Putting away laundry - I love to fold it, but I honestly don't have any room left in my closets and dresser to put them away! I have piles of folded laundry all over my room at all times. 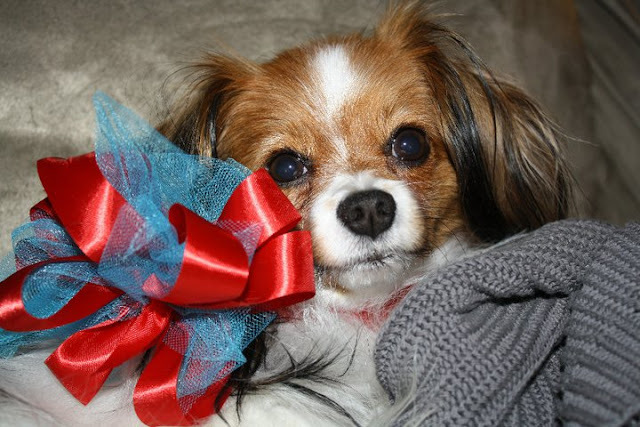 D. Dogs: I have one adorable Phalene (a drop-eared Papillon) named Kyoko. Adopted her when she was almost 3 and now she's 4. E. Essential start to your day: Snooze button and coffee - I am SO not a morning person! F. Favorite color: I have an unhealthy obsession with the color purple! Purple contacts, purple highlights, purple living room walls, yay purple! G. Gold or Silver: I prefer silver, but am learning to really love rose gold! H. Height: 5’1, I will be one of the smallest people you will ever meet! I. Instruments you play: I took piano and clarinet when I was younger, voice lessons throughout high school. 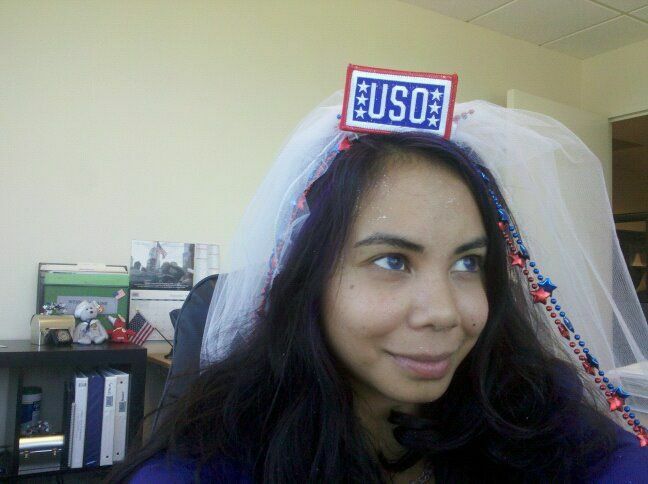 I'm a classically trained opera singer, bet you didn't know that about me! J. Job title: Director of New Media at the USO - best job ever! K. Kids: Just got married, no kids. I'm pretty uncomfortable with children, especially once they talk. Babies I treat like dogs, so they're fine until they cry. N. Nicknames: Hmm, besides Vyque and V not really anything! O. Overnight hospital stays: Never, knock on wood! P. Pet peeves: People who don't listen to my infallibleness! People who don't let others get of the metro car before boarding. T: Time you wake up: I drag myself out of bed after 8 AM to get to work by 9(:15), on the weekends it can vary from 10:30 am to 2 PM! W. What makes you run late: Sleeping in and being unable to decide what to wear for the day makes me late for work, otherwise I'm almost militantly punctual! Y. Yummy food that you make: I've just recently learned how to cook beyond pasta and Hamburger Helper... I made a pretty good lasagna! Z. Zoo animal: I'm relatively sure my patronus is a red panda. Also, the otters! Geez I'm seriously on a snake print kick, huh? But this trench coat is super chic and surprisingly affordable - just $96 at ROMWE! 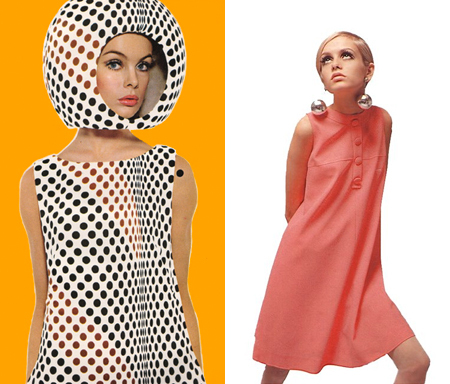 The chicness of 70's style has quickly given way to 60's Mod. But really what does Mod mean?? I know it's a style of dress originating in the 60s in England, that Twiggy is pretty much the poster child and that miniskirts and bold geometric prints are mod, but that's really it. So I decided to do a little research on the subject! It seems that Mod subculture (short for Modernist) has roots in the beatniks and was considered futuristic style dressing - I suppose compared to the 50s circle skirts and 60s flower child it was! British designer Mary Quant was instrumental in the Mod aesthetic, and is considered the creator of the miniskirt, hot pants and colored tights! Obviously a reaction to the "be a lady" culture of the 50s, mod fashion was slightly androgynous with sleek, short hair that reminds me of space helmets, heavy eyeliner, aforementioned miniskirts, hot pants and colored tights, flats and waist hiding shift dresses. Colors were bold and many, black and white super graphic and oversized prints also tres chic. The clothing, which I feel was what people considered the flapper of the future, looked best on slender, boyish models such as Jean Shrimpton and Twiggy. This doesn't mean curvy girls can't rock the look, it just means look for tighter silhouettes or throw on a white patent belt! So, how in the world do you actually get the mod look? I would say there are a few essential pieces that can easily bring you to the era of the swinging 60s! Colorblocked Items. It's already in style, but it never occurred to me that it had mod roots until now! Short Shift Dress. Now shift dresses can be tricky, especially if you have curves! A belt can help prevent you looking like a sack, but it does diminish the "mod-ness" of the look a little. Swing Coat. Look for a colorful one with large buttons for an extra mod look! Turtleneck. 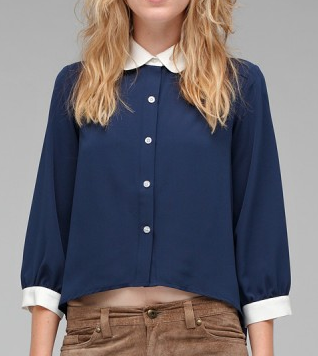 A great layering piece when trying out the style! Miniskirt. Of course! Look for a-line shapes, definitely not full or too tight. Riding Cap. I haven't seen a resurgence of the riding cap yet, but it is one of the most mod pieces out there! Colored Tights. Probably the most affordable way to rock mod!